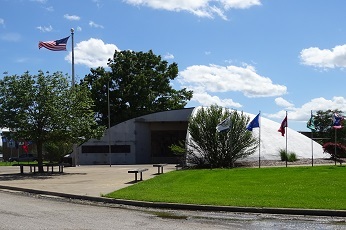 The purpose of the National Agricultural Center and Hall of Fame is to educate society on the historical and present value of American agriculture and to honor leadership in agribusiness and academia by providing education, information, experience and recognition. Agriculture touches the lives of every living person. The food we eat, the clothes we wear, the way of life that developed the values, economy and culture of our nation all find root in agriculture. Yet, today, few people understand or appreciate agriculture as the dynamic and pervasive force that has shaped our nation’s past and that will shape the world’s future. To awaken people to the importance of agriculture and help them understand and appreciate its influence, agribusiness leaders of the 1950s in Kansas City and throughout the country envisioned the creation of the nation’s premier center for agriculture. To this end, the focus of the proposed institution would be the American farmer and farming and would include not only the rural heritage which has been so influential in shaping America, but also the science and technology of farming that are shaping our world of tomorrow. The National Agricultural Center and Hall of Fame, or the Ag Center as it is more commonly known, became a reality when it was issued a federal charter by an act of the 86th Congress and signed by President Dwight D. Eisenhower on August 31, 1960. This rare federal charter, which is a historic beginning shared with organizations such as the American Red Cross, the Veterans of Foreign Wars and the Future Farmers of America, charged the Ag Center to serve as the national museum of agriculture and a memorial to farming leaders. 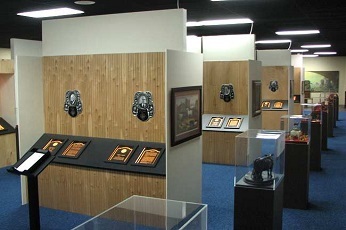 Although the museum was created by federal action, it receives no appropriation from local, state or federal government. The Ag Center is entirely funded by private and corporate donations, and revenue generated by admissions, memberships, special events and facility rentals.